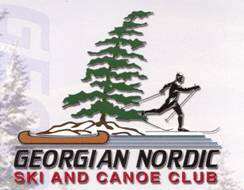 With more than 25km of trails winding through lush forest, Georgian Nordic Ski & Canoe Club offers great cross country skiing for the novice through to the expert. The Ski Trail Access and Parking Area (Nine Mile Lake Access) is located on Nine Mile Lake Road off of Highway 124, 40 km. west of Magnetawan.The trails are open as long as there is enough snow to ski safely on. Enjoy a winter adventure on Ahmic, Cecebe Lake or any of the many smaller lakes around. The larger lakes are home to walleye, pike and perch while the smaller lakes have lake trout. Either on the smooth natural ice of a lake or in the Magnetawan Pavilion ice skating is a sport that everyone enjoys. The Magnetawan Pavilion, located on the main street of the Village of Magnetawan is open during during the winter for skating free to all!. there is a heated change room and wash rooms.